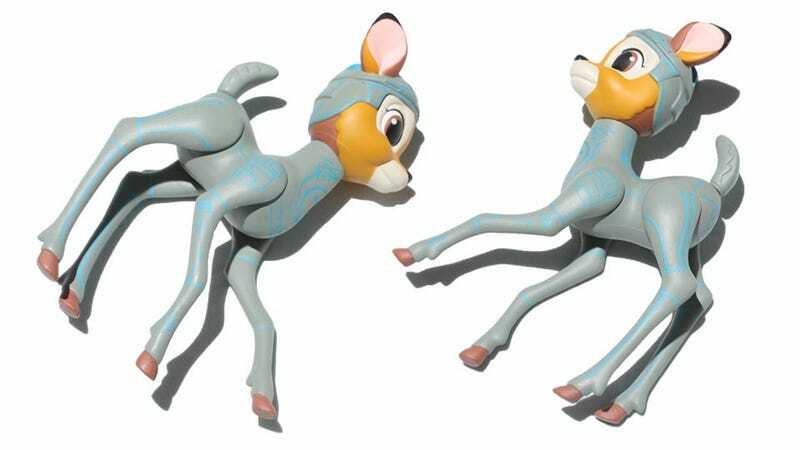 Disney movies collide with the new Disney X CLOT vinyl collaboration, a Bambi in full Tron gear. This precious curiosity releases on Valentine's Day at the Man Is In The Forest shop in Shanghai. Have a friend in Shanghai grab one for you! As seen at High Snobiety.